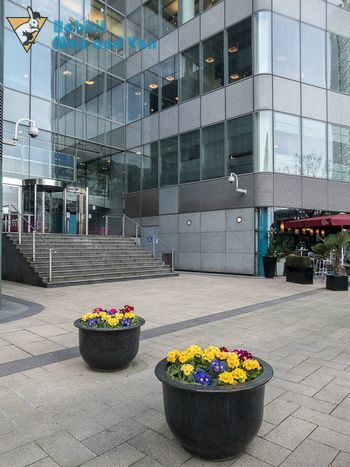 Give us a call if you don’t have the time or knowledge to properly organise and carry out your upcoming residential or office relocation in Canary Wharf, E14. We are seasoned and fully certified man with a van contractors and we are known throughout the area for our impeccable work ethics and friendly customer attitude. Throughout the years we have worked on an innumerable account of property removals and we have managed to handle every single one of these jobs without any additional complications and unwanted delays. We believe that our clients deserve the best possible van removal services in Canary Wharf and this is why we constantly ameliorate our skills by studying and mastering the lasted packing, lifting and driving techniques. To make our services even better, we have tailored them to match in full the highest values of the relocation industry, so you can rest assured that by choosing us you are choosing quality, efficiently and precision. To our understand we are one of the few Canary Wharf man with a van firms which rent out their Lorries and Lutons against cost effective ra tes. Our company is here to serve you to the best of our abilities and this is why we maintain a large selection of standalone options such as packing and transportation services. We work only with the best packing materials and more importantly we sell protective gear. So, if you are in the need for cardboard boxes, hardtop containers, wardrobe cartons and other packing supplies, give us a call and we will deliver them to you for free. You can use our transportation options to handle single-item removals in Canary Wharf and furniture hauls. You can learn more about our man with a van company in Canary Wharf, E14, by exploring our website or contacting us directly via telephone or e-mail. As you have already understood our company operated throughout the district of Canary Wharf, E14, in the eastern parts of London. The area lies in the Borough of Tower Hamlets and has a population of over 70.000 residents. It is one of the city’s most famous and visited districts as it is the location of some of Britain’s and Europe’s tallest edifices such as One Canada Square, One Churchill Place, 8 Canada Square, 40 Bank Street, 25 Canada Square and more. Get in touch with Rabbit Man and Van if what you need is a speedy moving van service in E14 Canary Wharf. Our qualified and seasoned team of pros will carry out even an ambitious and complex man and van job with the speed of light without being sloppy. We do everything by the book and we are incredibly meticulous but we still manage to fit into tight deadlines because we use innovative moving vans which have GPS equipment. Nevertheless, we promise to provide you with affordable man and van in E14. Canary Wharf is set in the London Borough of Tower Hamlet and it is best known for being the second busiest financial district in the English capital. It is also home to the second tallest building in the UK– One Canada Square. The skyscraper has a height of 236 meters.